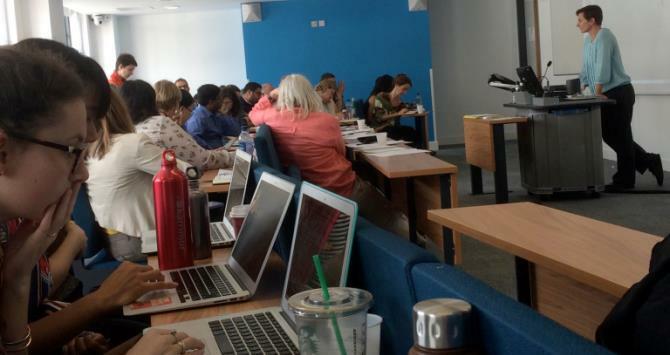 In early June, a number of students from the MSc International Development and Humanitarian Emergencies, attended the HPG/LSE Course on Conflict & Humanitarian Response to hear from leading academics and practitioners across the globe talk about some of the most pressing issues in humanitarian policy. One of those in attendance was Myfanwy James, who has shared some of her thoughts. In May 2016, the first World Humanitarian Summit was hosted in Istanbul, pledging to ‘prevent and end conflict’ and ‘leave no one behind.’ As the 2015 State of the Humanitarian System explained, chronic conflict and crises have stretched the contemporary ‘humanitarian system,’ leading many to argue it has ‘reached its limit.’ With much disagreement about the nature of the Summit and the trajectory of the ‘humanitarian system’, it seems there is a growing need for collective reflection. Whilst a significant body of academic literature details the ethical challenges faced by contemporary humanitarian action and debates the most appropriate policy responses, practitioners are faced with these challenges and the difficulties of responding every day. However, many rarely find time to stop and reflect on these challenges with peers from around the world. The course featured lectures by notable academics and practitioners, but also included opportunities for group discussion and debate. What was particularly striking about the week was the variety and breadth of experience among the course participants. Having worked in crises throughout Sub-Saharan Africa, South Asia, as well as Syria, Turkey, Iraq and Afghanistan, the group discussed the central questions of the contemporary humanitarian era, drawing from first-hand experience. The interactive nature of the course enabled the participants to have a role in shaping the discussion, contextualising the work of academics using observations from their every-to-day experience. The LSE speakers included International Development’s Head of Department, Professor Tim Allen; Professor Mary Kaldor, Professor of Global Governance; Professor David Keen, Professor of Complex Emergencies; and Dr Stuart Gordon, Programme Director for the MSc International Development and Humanitarian Emergencies. Additionally, we heard from Kevin Watkins, ODI’s Executive Director and Professor in Practice at LSE, and Sara Pantulianio, the Director of ODI’s Humanitarian Policy Group, and former head of the UNDP Sudan’s Peace Building Unit, and Sherine el Taraboulsi, Research Fellow. The external speakers included notable figures such as Sir John Holmes, Former UN Under-Secretary-General for Humanitarian Affairs and Emergency Relief Coordinator; Francesc Vendrell, Former Head of the UN Special Mission to Afghanistan and Special Representative of the EU for Afghanistan; and Dr Martin Barber, a retired senior UN official who had previously served as Director of the United Nations Mine Action Service and Chief of Policy Development and Advocacy in the UN Office for Coordination of Humanitarian Affairs. The diversity of the speakers was a real strength of the course. Whilst Vendrell discussed his extensive diplomatic experience working in conflicts across the world and the difficulties of negotiating with armed groups, Dr Ayman Jundi, Founding Trustee and General-Secretary of Syria Relief, discussed the day-to-day challenges of operating in Syria, demonstrating the personal dedication of members of the British Syrian diaspora. Another highlight included the talk from Professor Mohammad-Mahmoud Ould Mohamedou, Deputy Director and Academic Dean at the Geneva Centre for Security Policy, who discussed the shifting political and security landscape in the MENA region. His talk summarised the historical trajectory of uprisings and conflict in the region, challenging common narratives in the policy and media spheres, whilst also exploring the development of transnational terrorism: from Al-Qaeda to ISIS. 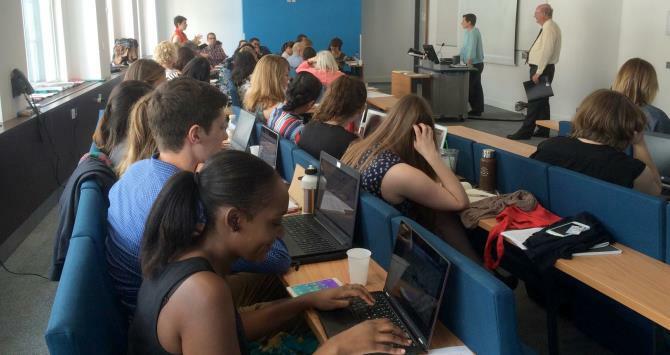 As a student finishing the International Development and Humanitarian Emergencies Masters at the LSE, I was offered the opportunity to attend the course and to reflect upon the key issues covered during the academic year: from the World Humanitarian Summit and the nature of reforms of the humanitarian system, to the best ways to engage with armed groups in complex conflicts. The course offered students the chance to meet leading professionals and hear their thoughts on these key themes covered in the core modules Managing Humanitarianism and Complex Emergencies.